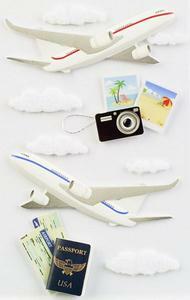 Embellish any of your scrapbook pages and handmade cards using the Little B Decorative Sticker Airplanes Medium. Package includes 10 stickers. Sticker sheet: 3.875" x 7.625" .